The debate over whether it makes sense to eat organic if you are on a budget rages on but new research has made the choice an even easier one to make. 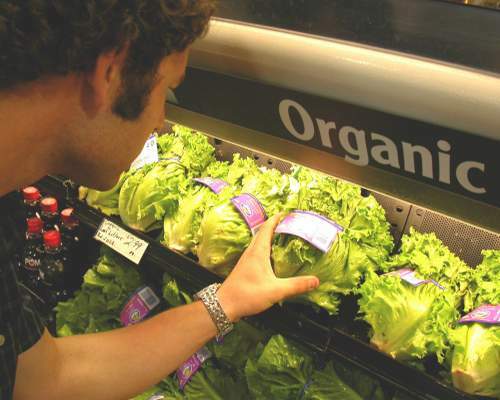 A new study published in PLOS ONE lays down evidence that if you want to live longer and have more babies, you should lean toward organics. At least as far as fruit flies are concerned. Researchers in the PLOS ONE study said that, "Our data suggest that organic foods provide improved health outcomes," and that "these data suggest that organic foods are more nutritionally balanced than conventional foods, or contain higher levels of nutrients, leading to improved fertility and longevity." Contrast this to research from last year that suggests that GMO foods lead to increased mammary tumors, kidney and liver damage as well as shortened life span and it seems like a pretty clear decision to make. Go organic as much as possible.